Can I share my monitors with others? Will they also receive change notifications/alerts? Premium users can choose to share selected monitors with other ChangeTower users. Once a check is shared, users will see check notifications in their dashboard, and will also begin to receive email notifications (if enabled for a given shared check). Invited users who don't already have a ChangeTower account will receive an email invitation asking them to sign up with ChangeTower. 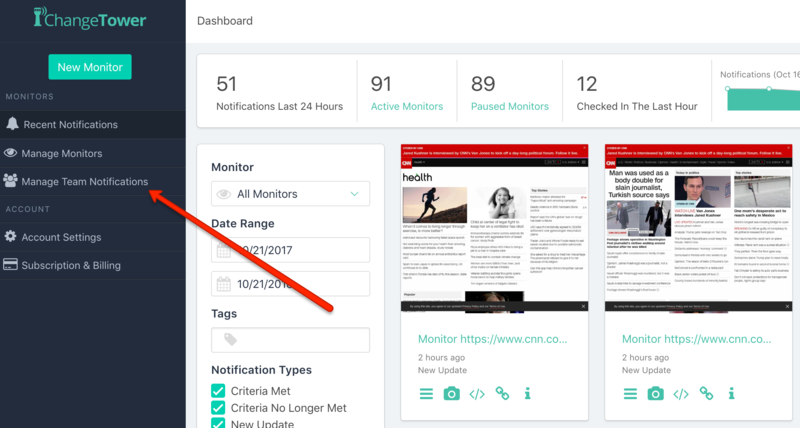 Once they accept that invitation, they'll immediately be able to see notifications for your selected monitor(s) -- and, if enabled, will also receive email notifications for those monitors.